Licensed College Jewelry!! 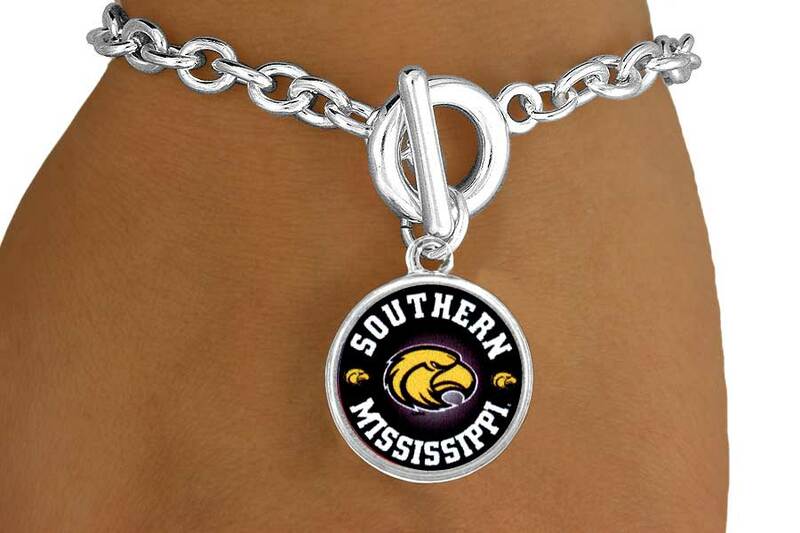 Lead & Nickel Free Sterling Silver Plated Toggle Bracelet Suspends A Circle With The University Of Southern Mississippi "Golden Eagles" Mascot. 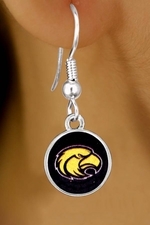 Scroll Down For More University Of Southern Mississippi Golden "Eagles" Items: W13410N, W13411E, W13987N, W13989N, W14064SG, W14067SG, W14190KC, & W14193KC!